Fatal Fury SNES Super Nintendo Game Cartridge Cleaned Tested and Guaranteed to Work! The King of the Fighters Tournament is not for the weak. Choose among 11 strong and powerful fighters - defeat all comers and take home the Championship. As Joe Higashi, Terry or Andy Bogard, it's your mission to defeat the evil and sinister Geese Howard - who holds all of Southtown City in his grasp. Use your special skills and lightning fast reflexes to advance through the many stages of City Streets. Along with mighty skills and magical powers, you have a true heart and the power of good at your side. Strike hard until all have been defeated. For only through fierce combat can you be browned the King of Fighters. 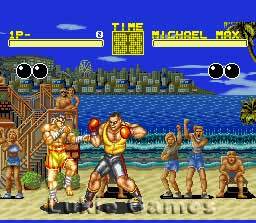 This is probably the worst fighting game that was made for the SNES. It only has three characters for the player to play as. Street Fighter II and Street Fighter II Turbo are much better. They have 8-12 characters for to player to choose. If you must buy a Fatal Fury game, please buy Fatal Fury 2. It has eight different characters to choose from. 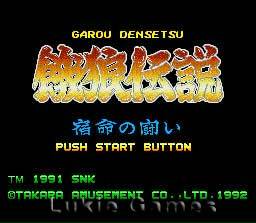 Classic SNK fighting game! More than just a street fighter look-alike!! 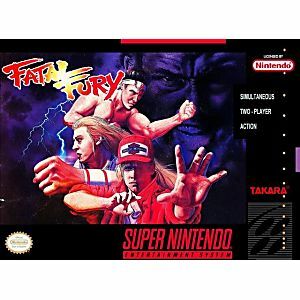 Fatal Fury sets Itself apart with interesting characters, seemless gameplay and a truly memorable universe. 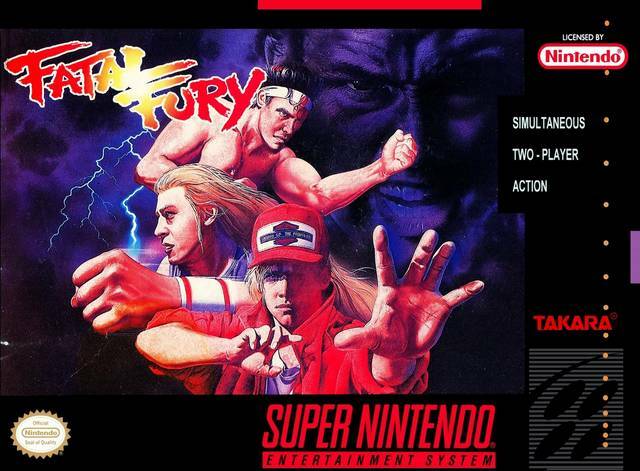 BUY this game and help Terry Bogard defeat the evil Geese Howard!! !